Traveling abroad can be an exciting and fun experience – but also filled with avoidable mishaps if you don’t take proper precautions before and during the trip. It is important to plan everything – from your travel bookings, via requirements, hotel reservations, sight-seeing trips and foreign exchange availability – to ensure that your travel abroad goes without a hitch. So if you’re planning your next trip abroad in the near future, here’s a checklist of things that you need to do, prior to the trip and what you need to do in case of an emergency (like when you lose your passport, credit cards or cash) when traveling to a foreign country. As a thumb rule, US citizens are generally allowed to use their passport till the last date of its validity. However there are several countries which need your passport to be valid for more than six months, from your date of arrival, to offer you a visa. So depending on the countries that you plan on visiting make it a point to check their passport requirements in advance. As of July this year, US passport holders can travel to 186 countries sans a visa or apply for a visa on arrival. Check if your travel destinations are on the list or do you need a visa. If so, apply and pay the fees prior to your departure. Do you really need to carry all your five credit cards, or just a couple would do? Think about it. Call your card issuer to inform them about your travel plans and the countries that you intend to visit, lest your card gets declined when you use it abroad. 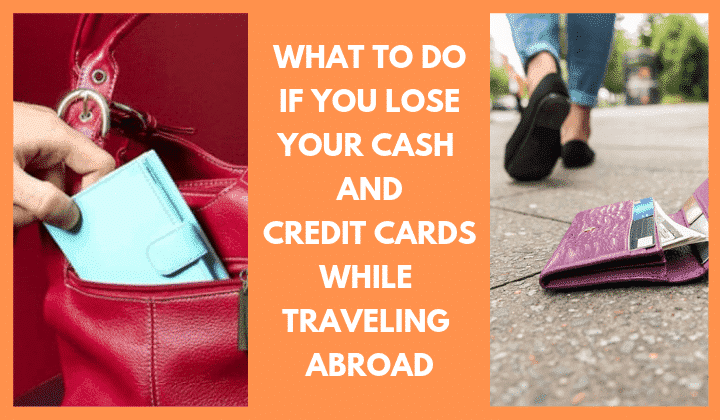 Inquire about the specific ways and benefits your credit card company can provide you with when traveling abroad – including raising your credit limit and issuing a replacement card – in case of an emergency. Travelers checks are not accepted everywhere so carry your ATM card instead – to withdraw cash when you need it. Memorizing your PIN numbers is also a great idea – from a safety perspective. Take photos of all your credit & debit cards & email to yourself so that you can access them in case of emergency. Distribute your cash and card to different places. Open a PayPal account and download money transfer apps used in the country you are traveling. You can find Uber in more than 50 countries. So download the app and keep sufficient balance. Some countries especially in Asia and Africa, require foreign visitors to be vaccinated for certain diseases before their arrival. Check with your doctor and make sure you fulfill the medical requirements. Ideally, you should get the shots (if required) at least six weeks prior to your departure. Buying medical insurance is always a good idea before traveling abroad. Also if your trip is going to be a long one or requires you to put down a large down payment, consider getting a trip interruption and cancellation insurance done for added protection and peace of mind. 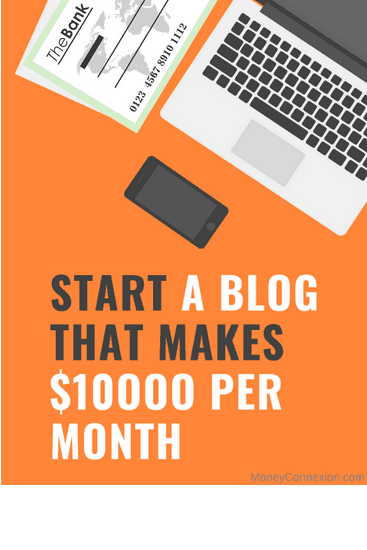 Ok, let’s just say you’re on a tight budget and need to save cash. How would you do it? Well one way of doing it is by checking out the foreign airline sites (in their home country). You might be amazed at the price difference between a US airline and airline from your host country. And if you have problem understanding the online instructions listed in a foreign language – you can always get Google Chrome to translate them for you. While most regular travelers do have an international calling & data plan, many infrequent travelers don’t. If you’re a part of the later community, you need to get one for yourself before you travel. International roaming and data charges can cost you a bomb, but most telecom companies these days offer customized data & calling plans for people traveling abroad. Choose one that suits your needs and pocket the best. Passport, visa, insurance, credit cards, tickets, hotel reservations – remember to make copies of all your important travel documents and leave them with a family member or trusted friend. You can also store electronically – like in your email for example – to have access to them from anywhere. The first thing you need to do here is – Do Not Panic. These things tend to happen when traveling abroad and they are not in fact, the end of the world for you, even though it may seem otherwise. In case of such an unfortunate eventuality happening with you, here’s a list of things that you need to do on an immediate basis. The first thing you need to do here is visit the nearest police station, report your loss and file a complaint. Then you need to call your bank and get them to cancel all your ATM/credit/debit cards immediately and issue replacements as soon as possible. You can also visit/inform your embassy/consulate in case you need any kind of help filing the police report or immediate financial assistance. In case of the later, you can also get in touch with a family member or friend and request him/her to wire you some emergency cash using a reputed commercial money transfer service like Western Union or MoneyGram. Depending on local banking regulations, it’s possible to wire money directly from a US bank to another bank in a foreign location to enable a US citizen access to emergency funds. However in some cases, foreign banks may insist on the US citizen first establishing a foreign account with them for this purpose. Most of the countries accept PayPal payment. You can use your PayPal account to pay your hotel bill, taxi bill or many other things. It's good if you already have PayPal account. If you don't have a PayPal account, you can create new, use your credit or card details (if you know) to verify your account and start using this. You can even find someone who can give you some cash and you transfer money to his PayPal account. This is worse than losing your cash. What you need to here is locate the nearest US Embassy/Consulate. Inform the consular section and share the specific details of the incident. In case you are unable to locate the US embassy/consulate closest to you, you can try to assess the country-specific page on the US State Department’s website, which should have all the required information. Most US embassies overseas also have what is termed as the – American Citizen Services unit – located within their Consular Section. Their purpose is to help US citizens in need of financial assistance abroad, get in touch with their family, friends, employer and banking institutions – back home. If you misplace your credit/debit card or lose it to an ATM or pickpocket in a foreign country, the best thing you can do is to stay calm and inform your bank immediately. Most banks have separate numbers for customers to call when they are outside the USA. In most cases they will cancel your card immediately (to prevent misuse) and in some cases you might even get a replacement card overnight by express delivery. You can also seek their assistance to verify your credit card account directly with your hotel, airlines and/or hospital to help you checkout of your hotel, book replacement tickets and seek emergency medical assistance (if needed). However you may be required to present valid proof of identity (like a passport) to receive such assistance. When none of the above listed emergency options are feasible or are unavailable due to any reason, it is possible for family/friends of the destitute US citizen stuck abroad to send funds via the US State Department. However this is allowed only in the case of a dire emergency when none of the above mentioned options are available. The money is sent to and received by the nearest US Embassy/Consulate in the host country. Pl note however that the US State Department may charge a fee ($30) to establish an account and transfer the funds. Now that you have gone through all the useful travel tips and related information outlined in this article – you are good to go. One last thing though, try to reach the airport in time – the official recommendation is at least two hours in advance. But if you’re a first timer, do give yourself at least three hours to find your way through the airport formalities and make your way to the departure gate to catch your flight. Bon voyage.